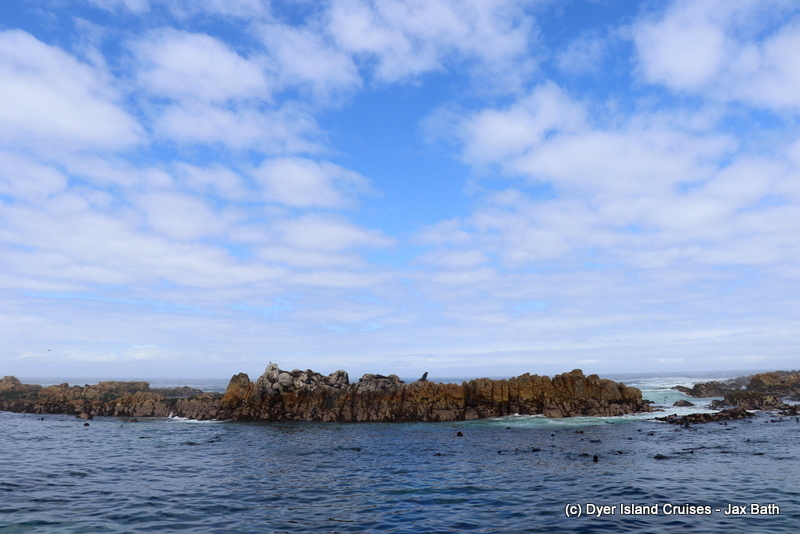 With the supermoon still messing with our tides, we began yesterday’s trip in Gansbaai harbour, travelling around Danger Point and then making our way into our bay. 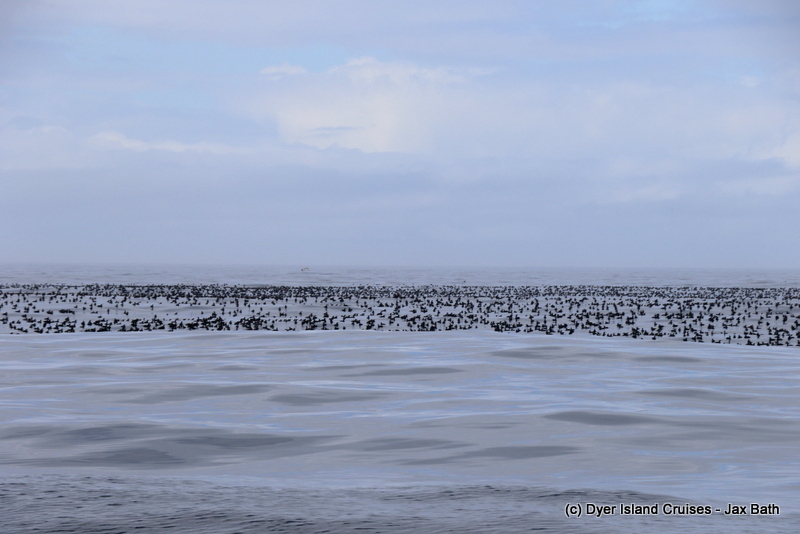 as we began, a little mist made for an ominous feel, but luckily it began to clear, revealing to us a variety of different seabirds. 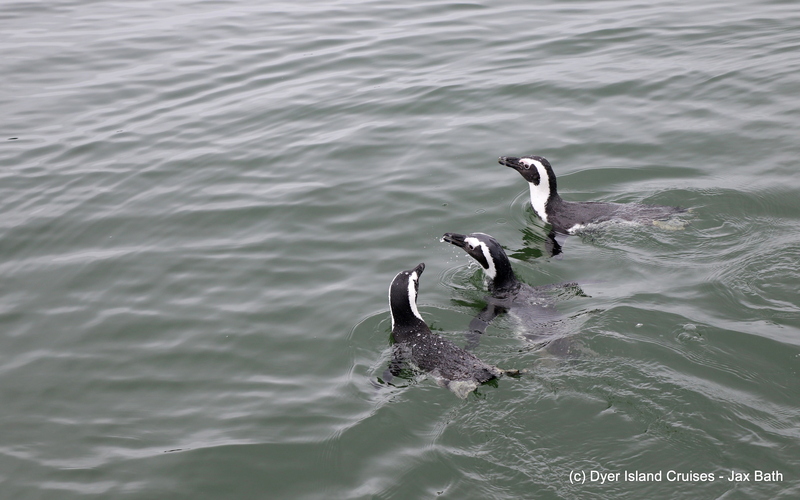 The favorite amongst all being the little African Penguin who was out trying to find himself some food. 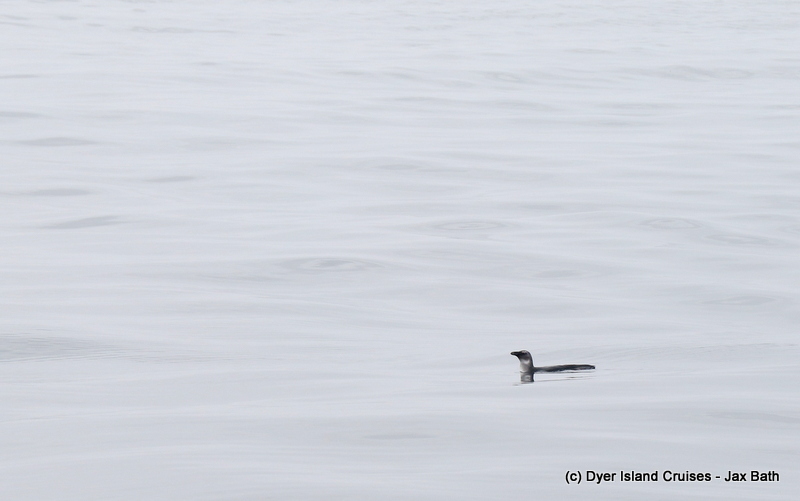 Whilst watching this little bird, Cape gannets, Sooty Shearwaters, White Chinned Petrels and even a teeny tiny storm Petrel could be seen, which was an indication that fish may have just moved through the area. 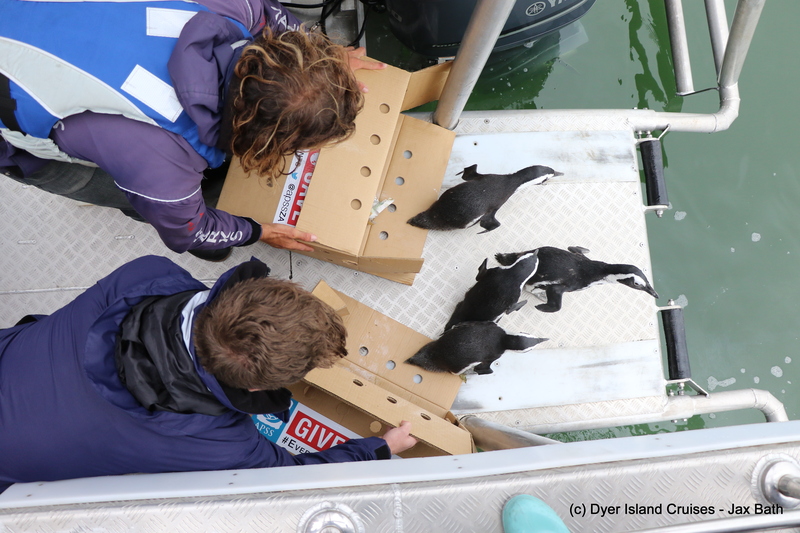 Our next stop was over at Dyer Island, and this was a particularly special stop as we were here to release 4 African Penguins back to their home. These penguins were what we call arrested moulters, which means that it took them a little longer than usual to gain their new feathers, after some awesome care by our African Penguin and Seabird Sanctuary, we were able to take them back home, opening their travel boxes and waiting patiently as the birds investigated out their new environment before taking the plunge to freedom. 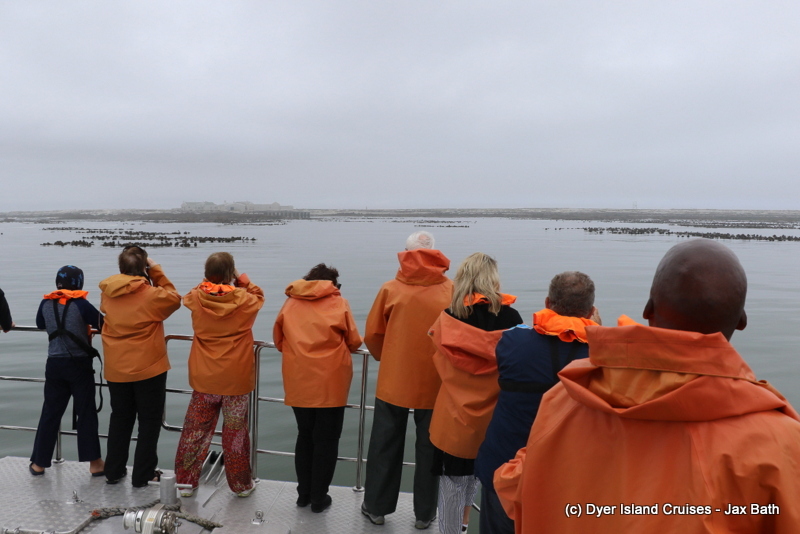 We then made our way into Shark Alley, where we got to pay our Cape Fur Seals some attention. 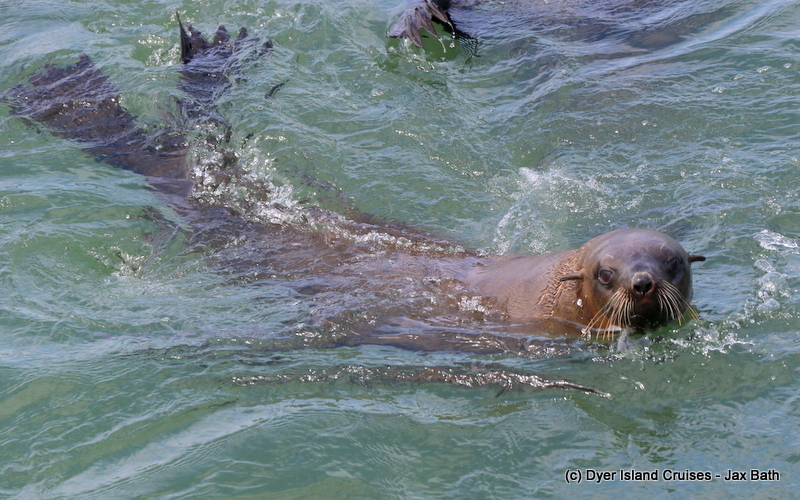 These playful pinnipeds are always a delight to visit, with their clumsy antics and noisy ways making for a fantastic and fascinating sight. After moving up and down Shark Alley, we head to The Shallows next to find the alleys name sake, the iconic Great White Shark. 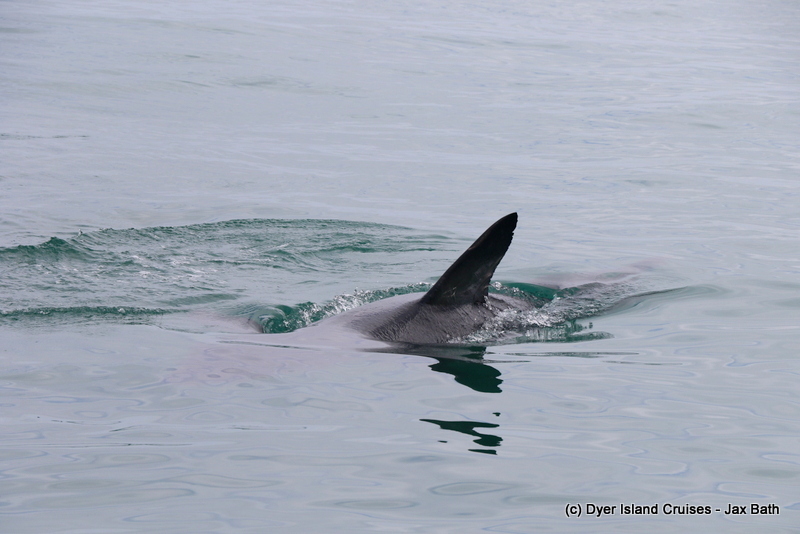 We were lucky to catch up with Clubtail, a large female shark who gave us a real show, exploding from the depths in ambush. We were left in complete awe by this exceptional hunter and after watching her emerge from the water a couple more times, we left the area. 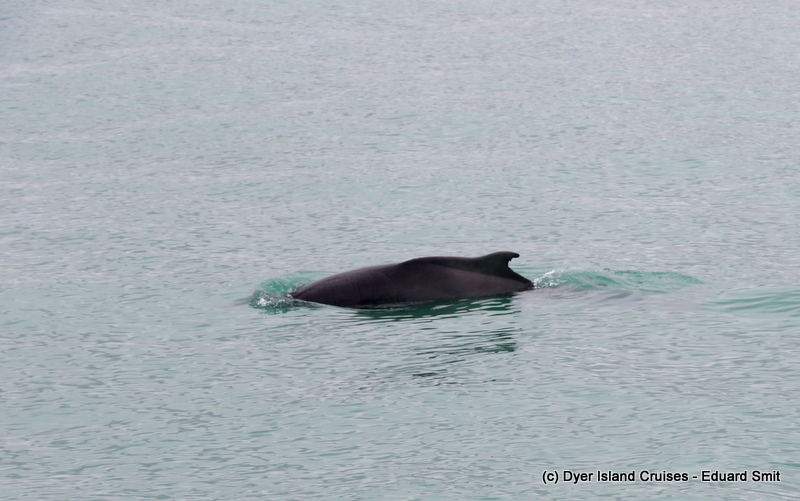 Our trip finished off with a sighting of two Indian Ocean Humpback Dolphins who gave us some spectacular views as they came right up to the boat. 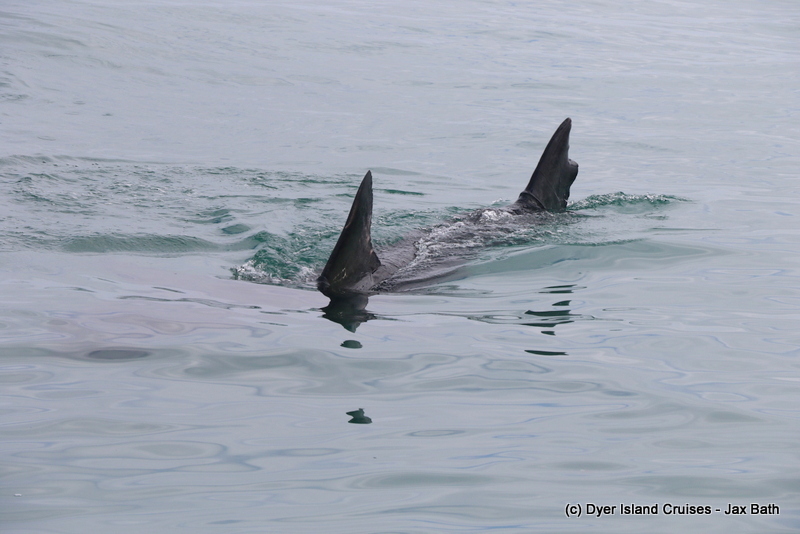 With 4 of the Marin Big 5 on a gorgeous day, we head back into Kleinbaai harbor, content as can be. 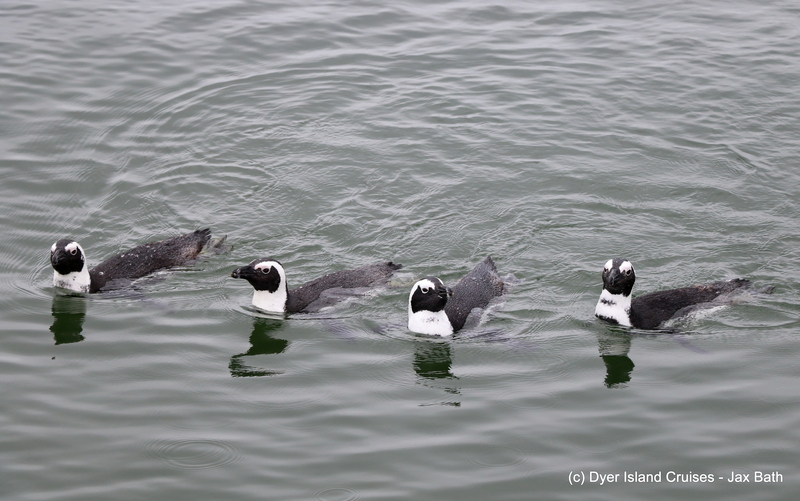 African Penguins waddling to freedom. Getting one last look at us before heading home. Grouping together after taking the plunge. Checking out Dyer Island in the fog. 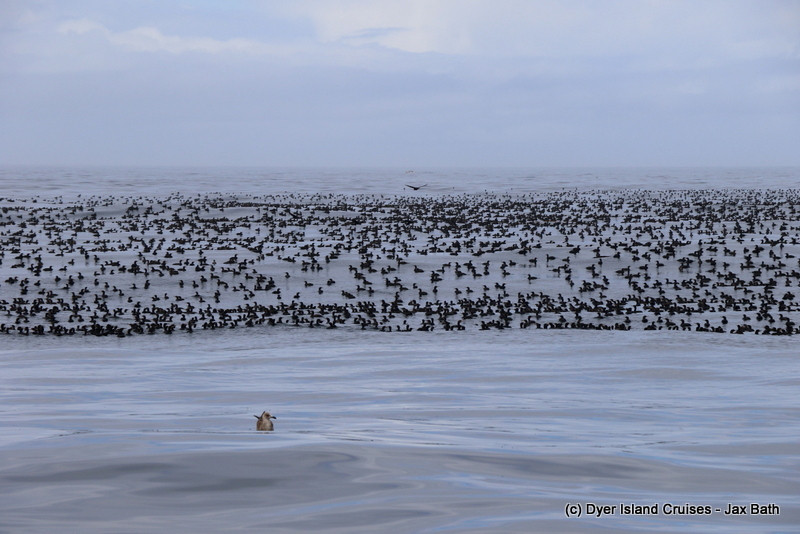 Thousands of Cape Cormorants sitting on the water just behind the island. A closer look at these beautiful birds. Once we had made our way into Shark Alley, the sky started to clear. 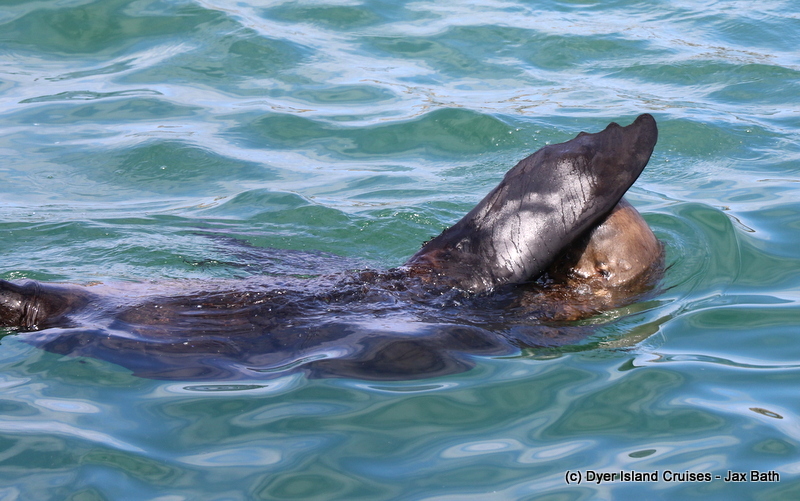 A Cape Fur seal wiping his face. 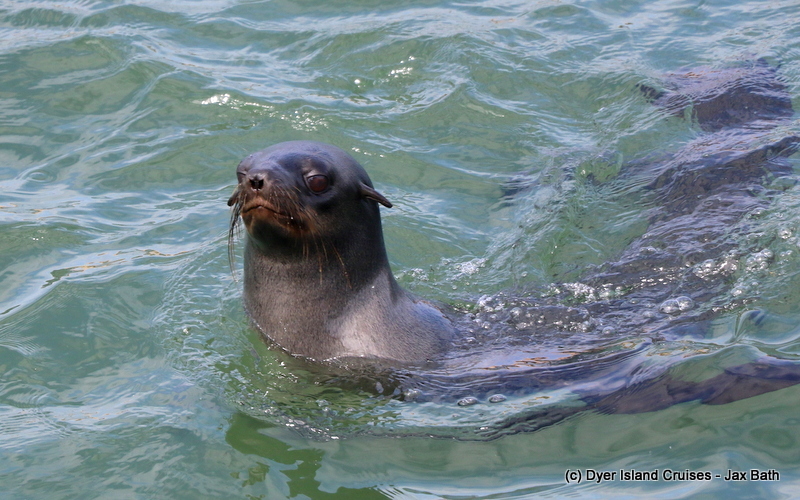 A curious pinniped checking us out. Here, one can clearly see how this Great White Shark gets his name.